Cliftonville have signed county Down-born ex-Celtic winger Paul George. 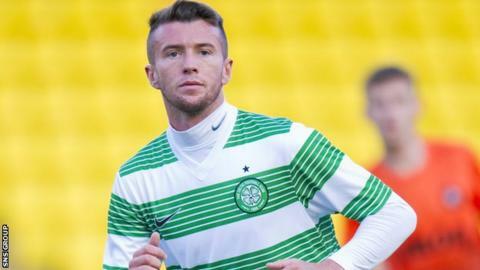 The 21-year-old featured for Celtic as a late substitute in a League Cup game against Ross County in September 2011 but then suffered a broken leg in 2012. A brief loan stint at Hamilton Academical in early 2014 was followed by another short spell at Dunfermline earlier this year. George was capped by Northern Ireland at U16 and U17 levels before switching allegiance to the Republic of Ireland. The Killough native then played for the Republic's U17 and U19 teams. George played for Cliftonville in the pre-season friendly against Peterborough United and he signed for the Solitude club on Thursday evening. "I'm very, very pleased to have secured Paul's services because he's a quality player who will add an exciting dimension to our attack," said new Cliftonville manager Gerard Lyttle. "He really caught the eye when he played for us against Peterborough and I know our fans liked what they saw of him that night. "I've every faith he can replicate that kind of performance on a regular basis and be a real threat for us."